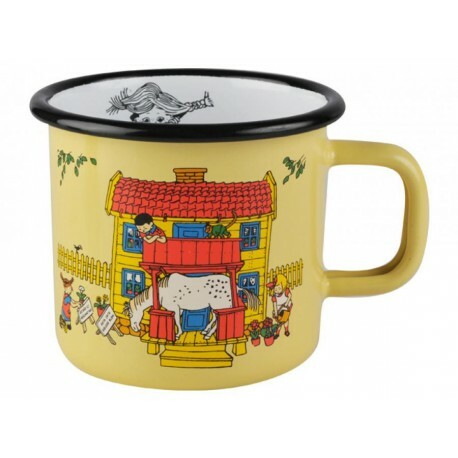 The Villa Villekulla mug illustrates Pippi’s famous home where she lives alone with her pet monkey and her horse. Color yellow. Capacity 3,7dl. Enamel items are safe to use in washing machine. Do not microwave.